A New Reality | Be the One. Driving into the Peñas Blancas Mountains of Nicaragua you might first recognize the breathtaking mountains covered in colorful foliage, the muddy dirt road, or the homes and buildings scattered across the countryside. However, after spending time there you will realize it is the people that will stick in your memory. Just last week I spent two nights in the rainforest with a Nicaraguan family that belonged to a Coffee Grower’s Community and Cooperative. 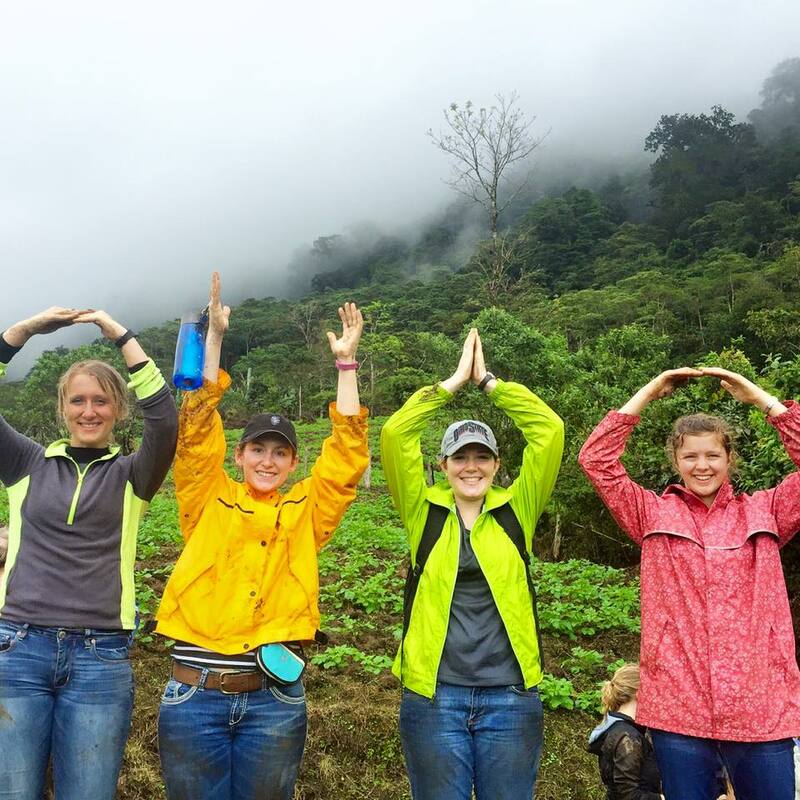 I was fortunate to have this opportunity through signing up for a First Year Experience Study Abroad Program at orientation through the College of Food, Agricultural, and Environmental Sciences. Part of the experience involved splitting into small groups and completing a home stay with a local family. 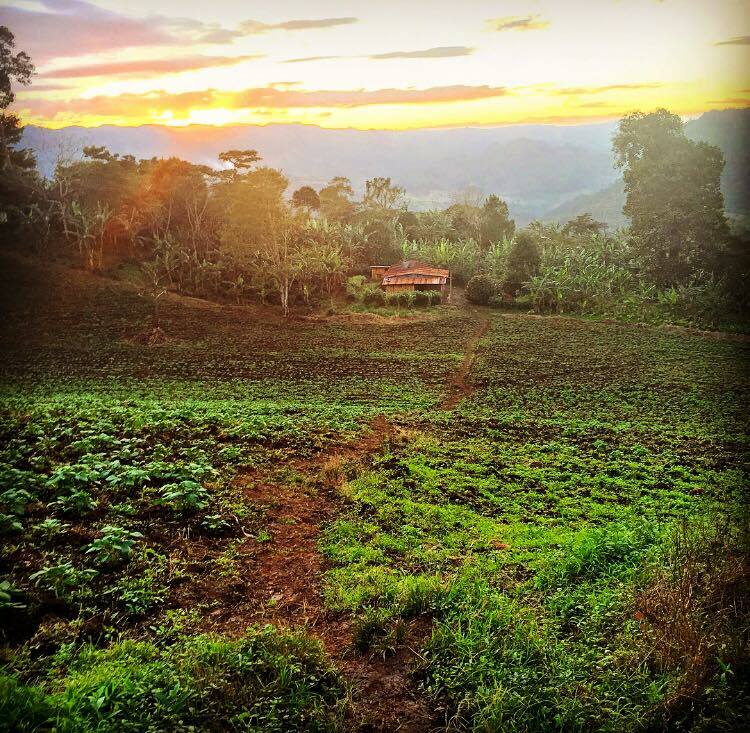 The families we stayed with spoke little to no English, worked full time as coffee farmers, and did the best they could with their low income that required countless hours to earn. These farmers will harvest every day from October to February, at the end of the harvest season they will receive one paycheck that must last for an entire year. My family lived in a beautiful valley with potatoes, coffee plants, banana trees, chickens, geese, and mountain hillsides with tropical flowers everywhere. Although my group and I were able to communicate in some Spanish, both cultural and lingual barriers still existed. It was through the youngest daughter, an eight year old named Katalina, we were able to form the strongest connection. Just like many eight year old girls in the United States her favorite color was pink, she loved kittens, and her favorite princess was “Nieve Blanca” or Snow White. When we presented the children of the family with a brand new bouncy ball, we had the whole group of us playing. Later that evening the older boys of the family asked if we had “tarjetas” or cards, they soon were teaching a new game similar to Rummy. We shared pictures of our families and helped our host mother make tortillas over the open wood fire. When our host father put up our mosquito nets at night we were there holding the hammer and nails, just like a child would with their father in a rural Ohio home. We may live completely different lives, but we had so many similarities. 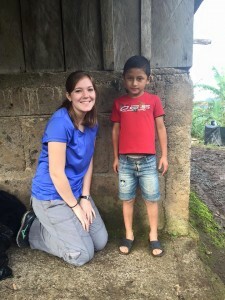 Staying with a family of a different culture, socioeconomic status, and completely different language was a humbling and perspective changing experience. We may have walked up a muddy hill to an outdoor latrine, showered with a bucket of mountain water in the open air, shooed chickens out of the kitchen, and witnessed a spider larger than my hand; but our host family lived with incredible dignity and expressed continual happiness. In our country too often we associate personal fulfillment and contentment with the amount of material possessions we own, the house we live in, the car we drive, the job we have, and the friends we keep. Instead, in the quiet mountains of Nicaragua this family was happy for companionship, the beautiful scenery all around them, good food to eat, and a sturdy tin roof over their heads. I am grateful for the chance to learn about another culture, and the reminder of all the things we have to appreciate. Posted by motter.109 at 4:01pm March 1, 2016 Posted in Study Abroad. Bookmark the permalink.